A hidden feature in your beloved bookmark manager? Why is that? How? And more specifically, what is a bookmarklet anyway? Also: why should you want to use a bookmarklet, when there is a superfast extension you can install? These are the questions we will answer in this article. We’ll help you set up this nifty piece of code. And finally, we’ll point you to some other useful bookmarklets. Who knows, perhaps you’ll even wonder how you’ve ever managed without. What is a bookmark, really? First things first: the word ‘Bookmarklet’ itself. As you might have guessed, it has a real connection to a bookmark. So let’s explore the bookmark first, then we’ll get to the bookmarklet. A bookmark is nothing more than a hyperlink you’ve saved for later use. The hyperlink is customarily dressed up with a little icon (favicon) and a name. You can store the information a bookmark contains in the bookmark folder of your browser, or even more conveniently directly above your browser window, in the bookmarks bar. This is the most basic version of the bookmark, you’ll find in any browser, on any device. Some bookmarklets may change the colors of your website to make them more legible. Others help marketers in discovering important information for SEO or other pieces of background information. It’s a surprisingly versatile tool, even though you can only click it once. So, with this background information, it’s time to introduce the start.me bookmarklet. We’ve called it a hidden feature, mostly because we don’t expect everyone to know it’s there. We haven’t kept it from our users, but we’re pretty confident it’s still a surprise. Only the most observant of our users could have discovered our bookmarklet. Another place where you might have discovered it is on the dedicated page in our support section. Feel free to check it out. Yes, the best and most natural way to manage your bookmarks in your personal start.me page is with one of our extensions. You can download one for Google Chrome or for Firefox. This way we service no less than 70% of the browser market. But what if you want to use one of the other browsers out there? Almost 12% still use trusty old Internet Explorer. Anyone using an iPhone or iPad will think twice before ditching the native Safari browser. And then there are Opera or one of the other alternative browsers we’ve partnered up with: Vivaldi, Pale Moon, Torch, Iron. Of course, you can use start.me on any of these browsers. As our startpage is basically a website you can design yourself, you can access it from anywhere. But how do you quickly add new bookmarks? That’s where the bookmarklet comes in. First of all, make sure the Bookmarks bar (Chrome terminology, also used in Vivaldi, Torch, Iron) is visible on top of the browser window. This bar is also called the Bookmarks Toolbar (Firefox, Opera, Pale Moon) or the Favorites bar (Edge, Explorer). This solution works with every browser, except for Edge or Explorer. There’s no easy way around this, I’m afraid, so I won’t get into it here. It would make this tutorial rather complicated. For any other browser: next time you visit a page you’d like to save to your start.me page, just click the bookmarklet and off you go! What about my iPhone, iPad or Android? The extensions (for Chrome or Firefox) or the bookmarklet are most useful on a desktop computer. But since no less than 60% of all online traffic seems to be flowing through handheld devices nowadays, we’ve considered that too. For Apple or Google devices you can quickly discover and install a dedicated app. The Apple App you can find in the well known App Store. For Android devices, you go to the Google Play store. Once you’ve installed these apps, you can add any page with the sharing button. Mobile users can add the bookmarklet too. 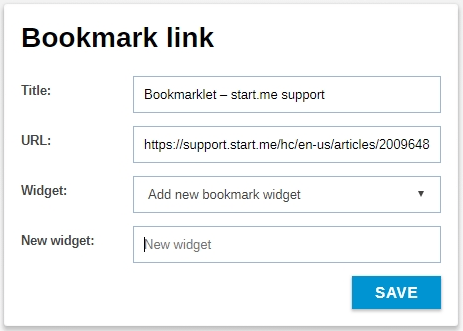 You’ll find more information in this support article: Install our bookmarklet on your mobile device. A bookmarklet is a lightweight, easy solution to the bookmark problem. Unlike with an extension, it doesn’t collect any data in the background. You don’t give anyone permission to view your browsing activity. It only works when you click it, and nothing more. It also sticks to the page in view. It’s worth considering trying this out, especially if you’re worried about online privacy. 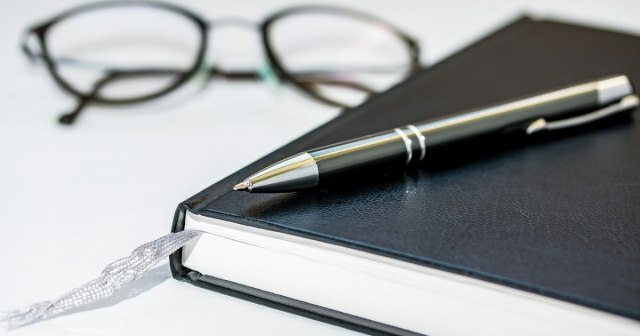 Lifehacker – 10 useful bookmarklets, with some background information. Well, that’s it for now. If you’ve found this tutorial useful, please let us know in the comments. And if you’d like to share some of your Bookmarklet stories, feel free! We love to be inspired. 1) The first row contains a condensed menu functions button (something that in great detail Pale Moon and to a lesser extent Opera provide that also saves space) along with all of the remaining browser tabs. 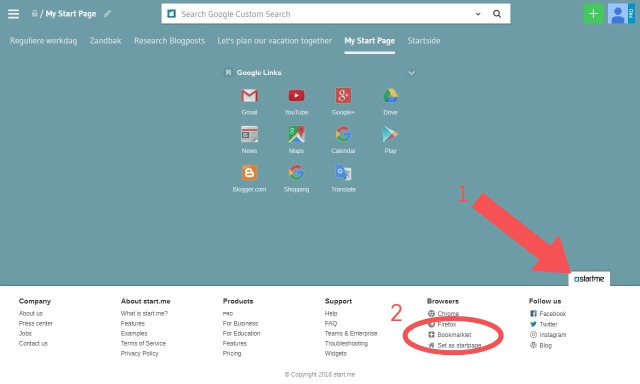 2) The second row consists of the address bar, search bar and browser icon functions and add-on icons. Both rows only take up a horizontal space of less than ½ inch leaving me with a maximum amount of browser web-page space (I also use CSS code to limit other functions, that I won’t go into, that provides additional web-page space for me as well). My goal is to limit the amount of functions down to just two narrow rows so that I have a maximum amount of web-page space available. Hi Mike, Thanks for responding to our blogpost! I understand you prefer as much space as possible on your browser. This is where an additional Bookmark bar could indeed be a problem. With our Chrome extension this shouldn’t be a problem, as you can display this icon without the bar. Have you tried this already?